An Australian rescue vessel trying to reach the Russian ship, MV Akademik Shokalskiy, trapped in Antarctic ice since Christmas Eve, after Chinese and French icebreakers failed to get through heavy sea ice. The Akademik Shokalskiy, with 74 scientists, tourists and crew members on board, has been on a privately-funded research expedition to Antarctica to retrace the footsteps of an Australian geologist, who explored the Antarctic a century ago. The voyage was to visit Douglas Mawson’s Antarctic huts, which previously couldn’t be accessed because of an iceberg. 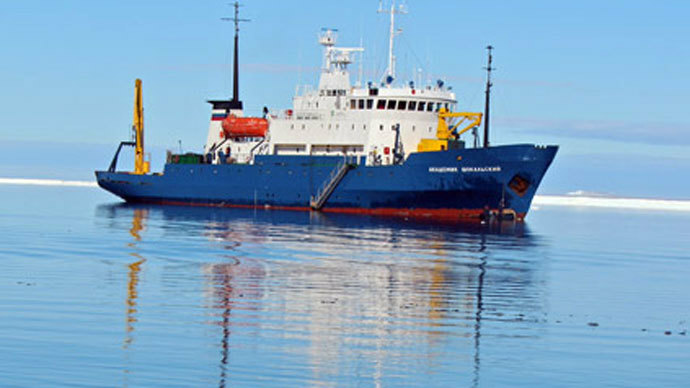 The research ship left New Zealand on November 28. 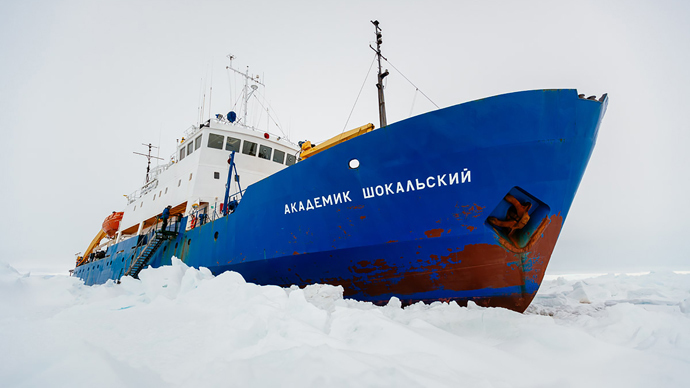 The Akademik Shokalskiy got stuck after a blizzard's up-to-70-kilometers-per-hour whipping winds hemmed the sea ice in around it. As things stand, the vessel isn't in danger of sinking and has weeks' worth of supplies, but it cannot move. The medium-sized vessel was in danger of being hit by a large iceberg, the Sydney Morning Herald reported on Wednesday. The Australian Maritime Safety Authority (AMSA) has been coordinating the rescue. 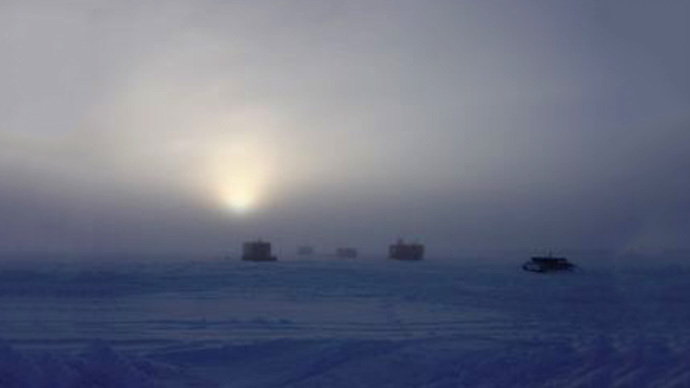 The Australian icebreaker was slowed down by the severe Antarctic weather, Reuters cited the AMSA as saying on Monday. The Aurora Australis was about 11 nautical miles (20km) from the trapped Russian ship Akademik Shokalskiy. "The area is currently experiencing snow showers, resulting in poor visibility. The Aurora Australis is traveling slowly due to the conditions to ensure the safety of all on board," the agency said in a statement. The 166-meter Chinese icebreaker, The Snow Dragon (Xue Long), managed to come within some 11 kilometers of the Russian ship, but had to retreat on Saturday because of the extreme weather conditions. "Sorry to report the Snow Dragon couldn't get through but standing by for other vessels to help," expedition head and author of "1912: The Year The World Discovered Antarctica," Christopher Turney, wrote on his Twitter, adding that the stranded 74 travelers were "Still here! All well." Although the Snow Dragon couldn't get through, it's standing by waiting for another vessel to help, Turney reported. It has a helicopter on board which could be used to rescue passengers if the Aurora Australis fails to break through the ice. Three icebreakers - Australian, Chinese and French - have been trying to reach the ship since December 25. On Saturday, France's L'Astrolabe, sent from the nearby Antarctic base, Dumont D'Urville, managed to make it to the edge of the sea ice surrounding the Russian ship, but had to cut short its mission too, unable to break through just like the Snow Dragon. It's hoped that the third rescue vessel, Australia's Aurora Australis, finally succeeds in cutting through the thick layer of ice. It could take about four days of sailing for the Aurora Australis to reach Commonwealth Bay, about 1100 nautical miles from Casey Station. The scientific team plans to continue their expedition after they are freed. In fact, the scientists haven't interrupted their research while stuck, counting birds in the area and drilling through the ice surrounding the ship to photograph sea life. On board the Akademic Shokalskiy are scientists from the University of New South Wales, a number of tourists who paid to be part of the historical expedition, many of them Australian, as well as a journalist from the Guardian, who described how the ship became trapped in heavy ice. "We had run into trouble two miles from the Antarctic shore and can clearly see the ice caps. All around us is a flat landscape of ice, stretching out for 18 nautical miles. The sight is not unlike the images sent by Curiosity Rover from Mars, only in white," Alok Jha wrote on his blog on December 27. The ship is trapped about 100 nautical miles (185 km) east of the French Antarctic station, Dumont D'Urville, and 1,500 nautical miles (2,800 km) south of Tasmania.